Our Public Service 2020 was launched in December 2017, providing a framework that supports continuous development and innovation across the public service. It is hoped that its actions will build a stronger public service, delivering better outcomes for citizens. As 2018 comes to an end, there has been some real progress in the key areas of promoting innovation, digitising services and improving the development of people and workforce planning. 6 of the framework’s 18 core actions have been prioritised by the Public Service Leadership Board for immediate implementation. There are certainly many excellent examples of organisations innovating for more impactful and efficient services. 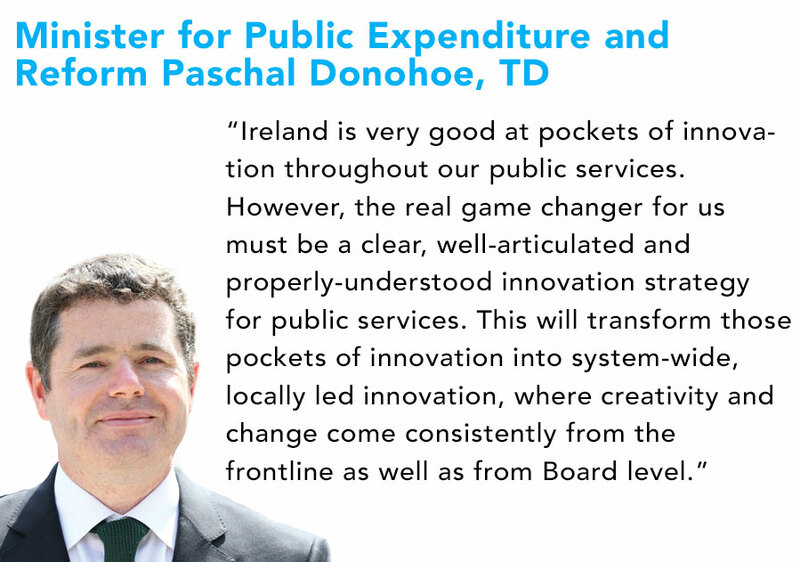 However, according to Minister Paschal Donohoe, the game changer now must be ‘a clear, well-articulated and properly-understood innovation strategy for public services’. The challenge will be not only embracing the concept of innovation but the practical tools and skills which are necessary to implement large scale transformation programmes such as project management and effective stakeholder engagement. This conference will bring together key stakeholders from across Ireland’s public sector to look ahead to what’s next and how we can innovate and reconfigure to deliver Our Public Service 2020. ✔ Best practice case studies. 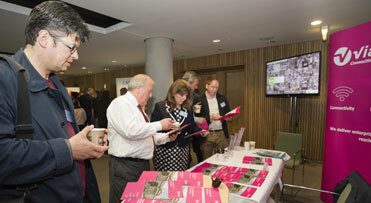 There are a limited number of opportunities to become involved with this conference as an exhibitor. 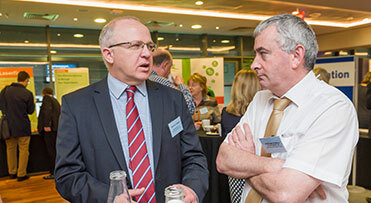 This is an excellent way for organisations to showcase their expertise and raise their profile with a key audience of senior decision makers from across Ireland’s public sector. For further information on how your organisation can benefit, contact Clare Breen on +353 (0)1 661 3755 or email clare.breen@eolasmagazine.ie. 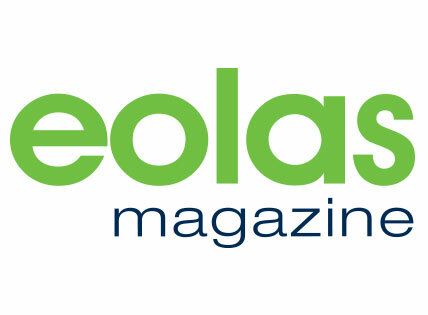 Copyright © 2018 eolas Magazine. All rights reserved. Leslie Evans is Permanent Secretary of the Scottish Government. Leslie joined the Scottish Government in September 2000, having spent 20 years working for local authorities in Scotland (City of Edinburgh Council and Stirling Council) and England (London Borough of Greenwich and Sheffield City Council). Her previous post within the Scottish Government was Director General Learning and Justice. Previous positions include Head of Local Government Constitution and Governance Division, Head of Public Service Reform Group, Head of Tourism, Culture and Sport, and Director of Culture, External Affairs and Tourism. Married with one son, Leslie was born in Northern Ireland and has lived in Scotland since 1985. She attended High Storrs School in Sheffield and studied Music at the University of Liverpool. Dr Lucy Fallon-Byrne is the Assistant Secretary General appointed by the Department of Public Expenditure and Reform, her role is key in developing, driving and delivering an integrated programme of reform across the civil and public service. Prior to her current role Lucy worked for the Central Statistics Office (CSO), the Department of Social Protection, she was Director of the NCPP, and Assistant CEO of the NCCA where she oversaw the development of a new Primary School Curriculum in Ireland. She has a PhD in organisational innovation, as well as an MA in Political Science from UCD, and an MBA from the Michael Smurfit School of Business at UCD. Vivian Geiran is Director, since August 2012, of the Probation Service, an agency of the Department of Justice and Equality, with 400 staff; providing offender assessment and supervision programmes in the community, as well as the country’s prisons. He represents Ireland on the International Penal and Penitentiary Foundation, and is a past-President (2015-2017) of the Council of Europe’s Council for Penological Co-operation. Vivian is a registered social worker, with masters degrees in social work (UCD) and social studies (TCD), as well as a diploma in leadership and management (ILM). Michael Horgan was appointed Chair of the HEA in July 2016. He is also outgoing chairman of the Health and Safety Authority. He is former Chief Executive of the Royal College of Surgeons in Ireland. Michael, holds a BSc in Computer Science, and an MA from the University of Dublin (Trinity College) and a Masters in Industrial Engineering from UCD and is a Chartered Director. He was awarded a number of honorary degrees, including a DSc from the University of Massachusetts and Honorary Fellowship of RCSI. He chairs the Fintech/Global Payments company TransferMate and is a non-executive director of Intuition Ltd and a number of other boards. He was previously a board member of the Rotunda Hospital, of Beaumont Hospital and a member of the Senate of the National University of Ireland. Conn Murray is Chief Executive of Limerick City and County Council and one of the most visionary leaders within local government in Ireland. The chief architect of Limerick’s remarkable economic renaissance, he has presided over the hugely successful merger of two local authorities to form Limerick City and County Council in June 2014. Not alone has he implemented the biggest single change-management programme in local government but simultaneously put in place the building blocks for the city’s unprecedented economic upturn that has seen over 14,000 new jobs and €2billion of planned investment bound for Limerick over the past five years. That came about thanks to the ‘Limerick 2030: An Economic and Spatial Plan for Limerick’ – a once in a generation plan delivered by Mr Murray to guide the economic, social and physical renaissance of Limerick city centre, the wider county and Limerick city region. Conn Murray commenced his career in his native Co. Meath and worked in a number of local authorities, including Tipperary, Limerick and Cork before being appointed City Manager in Waterford in September 2003. Subsequent to that, he was appointed Manager of Louth County Council in September 2007. In August 2012 he was appointed Dual Manager of both Limerick City Council and Limerick County Council before taking up his role as Chief Executive of the new amalgamated Limerick City and County Council in 2014. Maurice Quinn was appointed as Secretary General of the Department of Defence in October 2013. In this capacity, he acts as the principal policy advisor to the Minister for Defence and as the Accounting Officer for all Defence expenditure. Prior to his appointment, he served as Assistant Secretary General in the Department of Defence from 2005 to 2013. In this period, he was responsible for strategic planning, financial planning and management, industrial relations and human resource policy in the Department and the Defence Forces as well as litigation policy and legislation. Mr. Quinn is a member of the Civil Service Management Board and the Top Level Appointments Committee. He chairs the Procurement Reform Board of the Office of Government Procurement and is a member of the Board of the National Shared Services Office. Dr. Pat Daly is the Deputy Chief Executive & Director of Economic Development for Limerick City & County Council. He has held a number of senior management positions in his career to date. The Economic Division he leads has been awarded a number of prestigious national awards for Innovation, FDI attraction and Economic Development. He is an industrial Engineer by profession, holds a Masters Degree in Management from Sheffield University and a PhD in Business Management/Marketing from University College Cork, Ireland. Beverley Smith has been a Civil Servant in the UK Government for over 30 years. She has worked in front line welfare benefit services, customer service, strategy, policy, Business Management, training, staff management and on the Olympic Games. She started work building capability in the digital arena 5 years ago and her team moved under the cross government GDS umbrella in May 2017. Her role is as a facilitator but as the Head of Digital Faculty, she is also working on developing a curriculum and more blended learning approaches. She is a Certified ScrumMaster® professional and hold qualifications in Lean Management and an MBA. 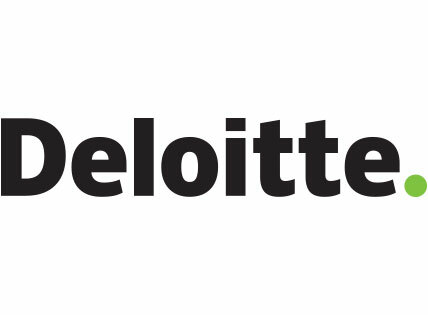 Shane Mohan is a Partner in Deloitte Consulting and the Firm’s Public Sector Industry Leader. Shane has worked extensively across the Irish Public Service in areas such as shared services, financial management, operating model and organisation design, and operational efficiency and effectiveness. 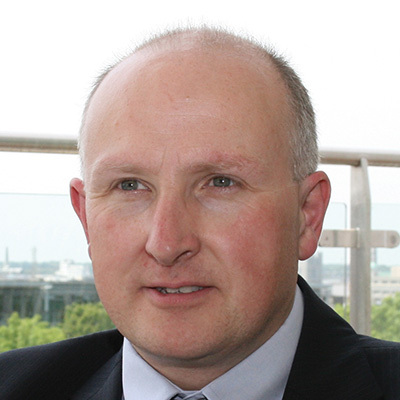 John Connaghan has over 30 years’ experience of both private and public sector. He spent the early part of his career in the printing and publishing industry with responsibility for manufacturing plants in Scotland and the USA, introducing the concept of quality circles and “lean” in a factory environment. During his NHS career in Scotland, John held three different Chief Executive positions with responsibility for some of the largest teaching hospitals in Scotland. John left the Scottish Government as NHS Chief Operating Officer having spent some time as interim Director General and Chief executive of the NHS with accountable officer status for £12.5bn and 156,000 staff. In 2015, Queen Elizabeth awarded John the CBE (Commander of the British Empire) for services to health. John is a visiting Professor at Strathclyde University. As Deputy Director General and Chief Operating Officer John had responsibility for operational services on behalf of the Health Service Executive. John is currently Interim Director General of the HSE having acted in that position since May 2018. 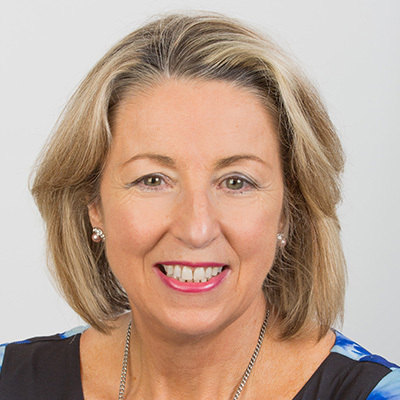 Valarie Daunt leads the Human Capital practice in Ireland. She has spent over 15 years delivering human capital solutions to clients across multiple sectors both as a practitioner in the role of HRD with an international bank and as a Consultant. She has responsibility for the provision of advisory services to a broad range of the firm’s national and international clients and specialises in advising private, public and financial service companies on all aspects of Human Capital. Anne took over the post of Interim Director General on 1st January 2019 having previously served as Deputy Director General – Chief Operations Officer, National Director for Community Operations and National Director for Mental Health Services. Having trained and worked as an Occupational Therapist in the UK, Anne has over 20 years’ experience of working in the health service in Ireland where she has led health services at local and national level. In her current role as Director General, Anne has the privilege of leading over 120,000 staff members across 2,600 locations who deliver health services across community and hospital settings in Ireland. Anne has a particular interest in the continuous improvement of the health service so that we can better serve the needs of the public. 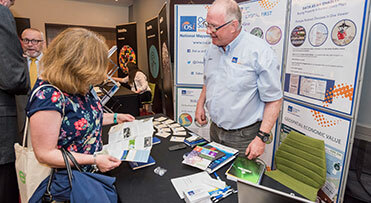 Majella heads up CES’s work in Northern Ireland, including its support to government departments, agencies, funding bodies and voluntary and community organisations. She has led the roll out of the Goal Programme for Public Service Reform within Northern Ireland. Previously Majella held a number of senior roles in the third sector in Northern Ireland, including Chief Executive of CO3, a third sector, leadership organisation and as Director NI of the fuel poverty charity National Energy Action. Majella was appointed by the First and Deputy First Minister to the Compact Civic Engagement Panel and is a Board member of NIACRO. She holds an MSc in Executive Leadership.